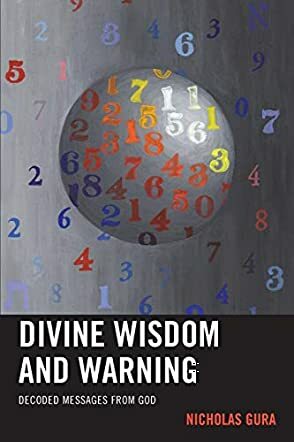 Divine Wisdom and Warning: Decoded Messages from God by Nicholas Gura analyzes the Bible using numerical values of letters. In doing so, the author is able to establish connections between many words or phrases of the Bible and many expressions having direct relevance to the sense evinced by the biblical phrase. Nicholas has analyzed many such word combinations and in all cases the relationship between the number represented by the biblical phrase and intelligible statements having the same numerical value seem to show a meaningful connection. Even when the author chose words at random, like corruption or anti-Semitism, the words or phrases from the Bible having numerical parity seem to tilt towards meaningful results. Nicholas Gura has made a strong case for looking to the Bible for answers for a few more of the troubles we are likely to face in the days to come. By choosing issues that are nonreligious as well as widely known, like quantum mechanics, he seems to have succeeded in giving greater acceptability and reach to his findings. However, the explanations given in the book do not cover all cases of numerical equivalence. Such numerical comparison, however, is a new and different approach with a lot of scope for further research. This is a thorough dissertation in a clear, concise manner and the book is worth the effort.